There are so many additions you can add to this salad, here is our traditional summer salad that everyone loves. It's simple healthy with the best taste. I personally think the best part is the Italian bread sopping up the juice it makes. See below for the recipe on the dressing that makes you crave this as soon as the vegetable season starts. 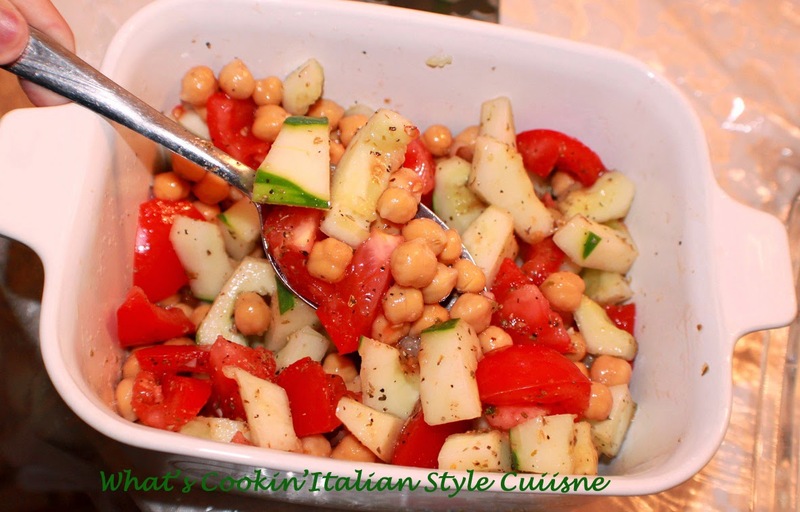 Tomatoes and cucumbers is the traditional way to make this, I added the addition of chickpeas because I love them. I usually don't wait for summer to get here. I will buy tomatoes and cucumbers all year long just to get that fresh taste I love in this salad to keep me thinking of the warmer weather ahead. 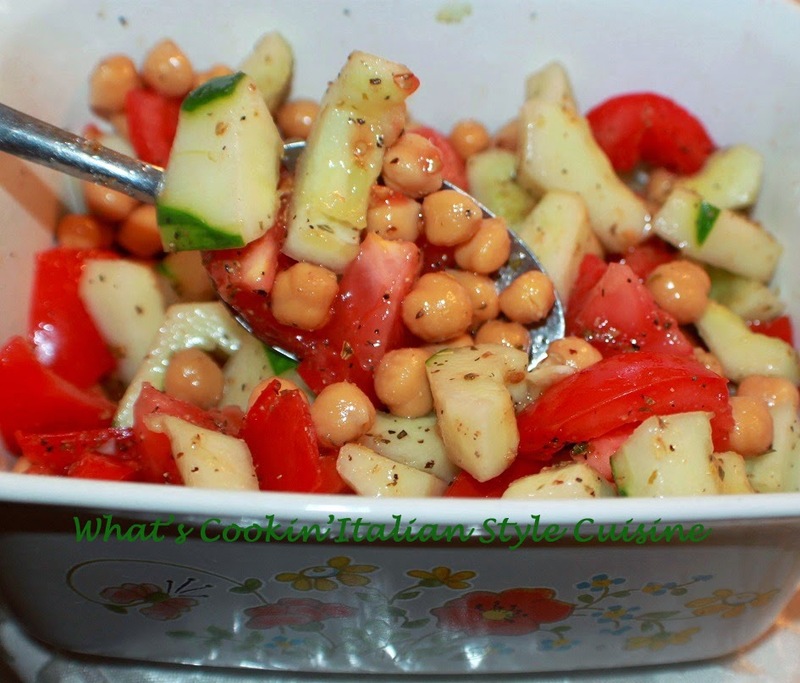 In a medium sized bowl add wedges of tomatoes, cucumbers and beans. Drizzle with around 3 tablespoons olive oil and two tablespoons or more to taste of vinegar of your choice. Sprinkle over the top all the fresh or dried chopped herbs, salt, pepper to taste and minced garlic. Better when this sits around an hour. Put on a plate and serve with crusty Italian bread. Make it to your families taste.